As the countdown to 2017 begins, I would like to take this opportunity to discuss how you can jump-start your New Year’s goals by proactively navigating the days ahead, while knowing which detours to avoid. 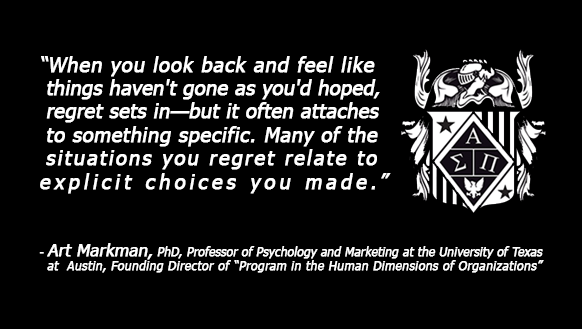 Take a moment to think back to some of your previous New Year’s goals. Were you successful in achieving them? According to a University of Scranton Journal of Clinical Psychology study, only eight percent of people are successful in achieving their New Year’s resolution. If you are in the 92%, don’t worry! You need not wait until January to take proactive measures to ensure your success this year. More often than not, the goals we set stem from a previous failure or shortcoming. For example, if your goals are to spend less money, become more physically fit, or achieve better grades, chances are you’ve previously come up short in these areas, possibly due to impulsive actions. This month, I urge you to take proactive measures toward your New Year’s goals by refraining from any impulses or detours that will set you back from achieving them. Whether it’s a desire to make a spontaneous purchase, skip a workout or cancel plans with your study group, take a moment to get some perspective on the situation and its overall effect on your long term goals before making a final decision. With the end of the semester quickly approaching, many of our graduating seniors are preparing for their next developmental phase, whether it is in pursuit of an advanced degree or a professional career. Many campuses recognize distinguishing achievements, such as induction into the Society, by allowing graduates to wear honor cords and stoles during the commencement ceremony. If your campus supports this practice, and you have completed all the steps to induction, we invite you to celebrate your accomplishment by visiting the Society Shop to order your Society graduation regalia. Don't forget to share pictures of you wearing your Society cords and stoles with us via Facebook, Twitter or Instagram by using #theNSLS! Please note: The Society honor cords, stole and charm are reserved for our inducted members only. We experience heavy order volume at the end of each semester, so we encourage you to place this order as soon as you are eligible. 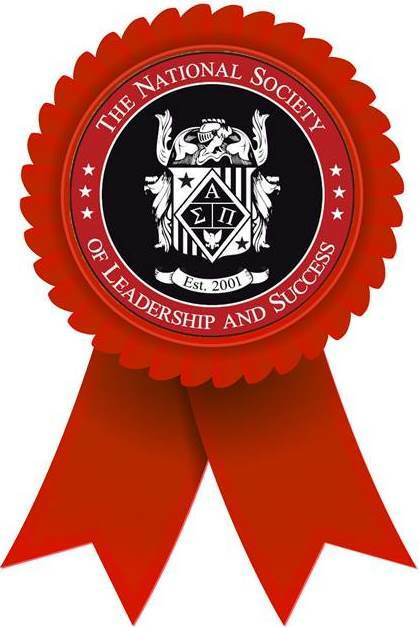 The Order of Sigma award is the Society's highest honor in our pillar program, reserved for those who successfully complete all ten pillars in the administration of their chapters. 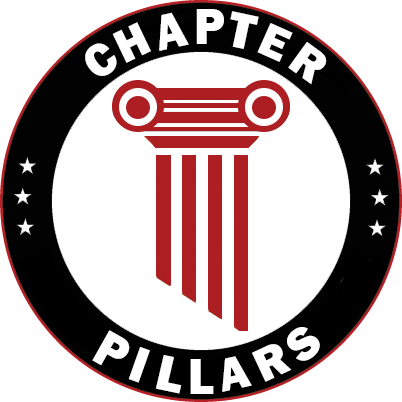 The Founder's List award is given to Society Chapters that successfully complete eight out of ten pillars. Stay tuned for the March Newsletter when we recognize our Spring 2016 recipients. Start your next international adventure for less with StudentUniverse! The Society is excited to partner with StudentUniverse to provide Society members with discounted flights, hotels and tours! Use StudentUniverse to book any type of travel - Spring Break, a flight home, Study Abroad, or even a weekend getaway! 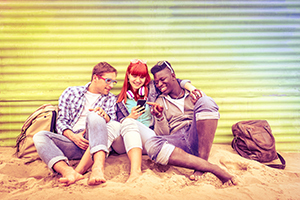 Before you book, don’t forget to check out the StudentUniverse promo codes page to see if they are running any deals that you can layer on top of your already discounted student travel for extra savings! Use promo code NEWFOR20 at checkout for an extra $20 off already discounted student flights booked on studentuniverse.com between now and December 31, 2016. 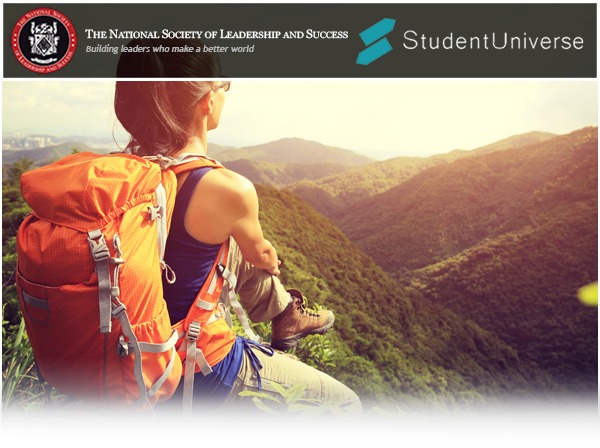 Receive an additional $25 off your next international flight from the U.S. to any international destination listed on studentuniverse.com using promo code NSLS25 at checkout. Exclusions Apply: Offer is only valid for Society members and StudentUniverse users. Excludes travel to Canada, Mexico and the Caribbean. Promo code expires 12/31/2016. Promo code expires 12/31/2016. As a Society member, you have access to unpublished hotel discounts and other special offers at 150,000+ brand name, boutique and independent hotels & resorts around the world. Members receive access to hotel deals for FREE, as the normal $99 fee for access is waived! Click here for more information. 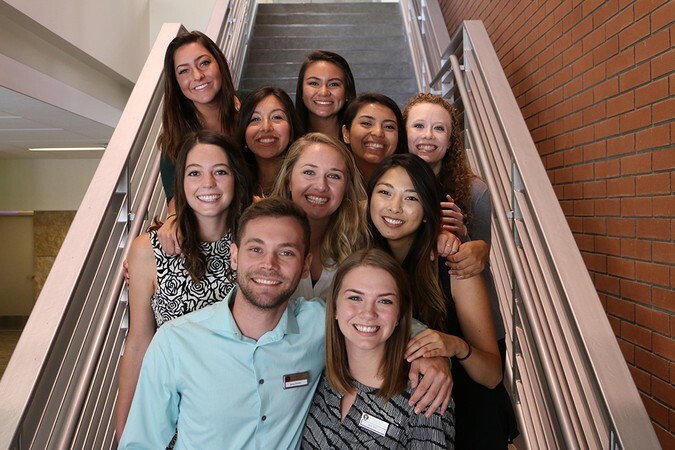 The National Society of Leadership and Success chapter at Biola University began its first full semester on campus, and Society leaders and students are already finding the organization to be helpful. The Society’s goals include increasing student leadership skills and helping students form and accomplish goals through orientation, leadership training, live speaker broadcasts and success networking teams. The Society has already exceeded the expectations of several students and Society leaders. Illinois Governor Bruce Rauner announced Society member Charles J. Barchett of the Bradley University chapter as one of the 2016 outstanding college students honored by the Lincoln Academy of Illinois. The Academy recognized Barchett during the annual Student Laureate Convocation on Saturday, November 12 at the Old State Capitol in Springfield. 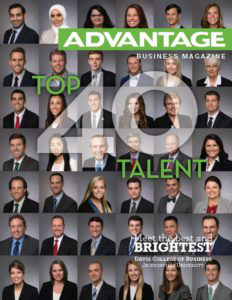 Jacksonville University Society members Michelle Hanes, John Rafferty and Bryan Shell were named to Advantage Business Magazine's "Top 40 Business Students 2016." The annual article highlights the highest performing JU business students of the year, as the "Top 40" approach graduation from the Davis College of Business. "Hanes has put all of her time and devotion into school and to make sure she gets the best possible grades she can while learning as much as possible. She also stays as actively involved in JU clubs and groups as possible. She is the finance sector and alumni manager for the Dolphin Student Investment Fund." "Rafferty has excelled in class while working full-time and raising two young children. He is dedicated to helping others achieve success and believes in the importance of getting a degree. He strives to be a role model for those at work who think it is too late to go back to school." "Shell strives to achieve a great academic record—he has made the President’s list the previous three consecutive semesters and Dean’s list previously—but he also appreciates and values the information learned through the process. He is extremely focused and driven to achieve his aspirations and to establish a great network. A recent professor provided a recommendation on his behalf, recognizing that Shell demonstrates unsurpassable motivation and work ethic and ranked in the top 1 percent of the class." There's an inevitable rhythm to January 1 at my house. I take down the tree, vacuum up pine needles, and start making my New Year's resolutions. The list usually looks like this: Lose weight. Swear off TV and saturated fat. Eat salads. Call Dad more. Write that novel. Floss. By midday I'm worn out, intermittently dozing in front of a football game and swiping my husband's million-calorie nachos. It's not that I totally lack discipline. It's just that I don't sufficiently appreciate what's going on in my brain, explains Joseph Shrand, M.D., an instructor of psychiatry at Harvard Medical School. Self-restraint is a rational desire, which means it lives in the front of the brain, the section that's most recently evolved and most vulnerable to being overruled by survival instincts.